Want to hear an see more? Check out some of our favorite videos for more DMW content! 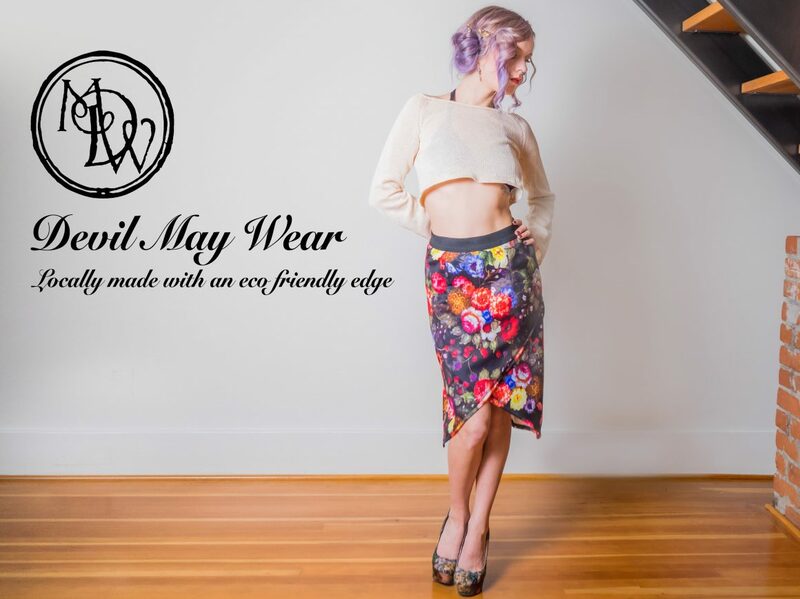 Or visit our Facebook page for all our video tutorials on how to wear your favorite DMW items, behind the scenes clips and other event videos. Back in spring 2016 we caught the attention of local photographers and videographers Pebble Studio. Thank you to their exceptional skills and our wild models (well one of the models was a camera man with some unexpected enthusiasm) they made the most incredible short doc about how the magic happens. If you haven’t seen it you must check out this fantastic animation by Tyra Weitman and Sad Panda for Devil May Wear. It is a carefully crafted, hand drawn animation of the story of our hand made underwear because, seriously, we make it! Check it out! Though the Devil May Wear portion of this video starts at 18:13 we loved being a part of this whole episode. And behind the scenes might have been even more fun then what they caught on camera but we are thrilled to have had the chance to share a little of what we do with Go! Vancouver. We hope you like it too. Thanks so much to Patrick Rooney who filmed this video of our 10th anniversary fashion show with Kitty Nights at The Biltmore in 2013. It was a glamorous night of burlesque, knickers, and saucy numbers! A huge thanks to everyone involved! I truly can’t thank Burgundy Brixx and the rest of the gang enough for their involvement. Please, join us for Kitty Nights at The Biltmore as you can find us there often on such occasions!